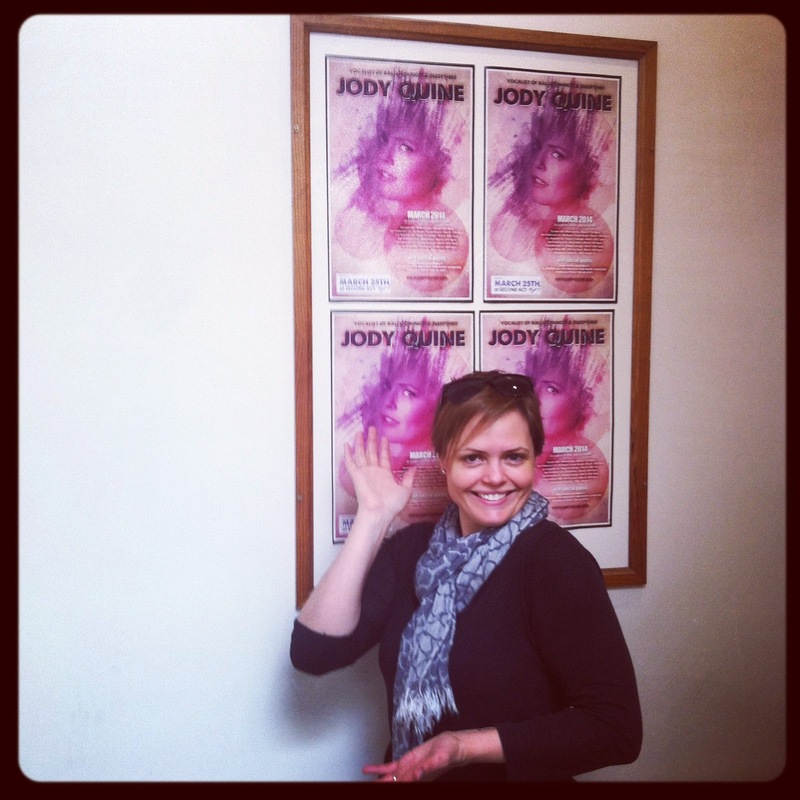 Vancouver Recording Artist Jody Quine - On Tour Part 3, The Final Shows! Final notes from the road. Quine is now back in Vancouver and preparing for her final concert at The Backstage Lounge on Granville Island this, Sunday April 13th. When I went out on a U.S. tour with my Littles and Dad in tow, I really didn't know what to expect. This would be my first solo tour as a musician and bringing my kids along made more financial sense than leaving them at home. So when Grandpa said he'd be available to watch them while I was doing shows, this also became an excellent bonding opportunity for the Littles with grandpa. Down to San Diego and back up with 2 different shows in San Francisco. My first show in San Francisco was at 50 Mason Social House and D. Edward opened for me. I know D. through NARAS which is the Grammy voting, recording academy and he has some really great supporters and friends including Jeff Oster whom I am a huge fan of. Meeting Jeff was a total thrill and after my set when he offered to play a few songs with me at my show the following week at SecondAct Marketplace, I was blown away and immediately said yes. SecondAct is an old theatre that they've recently renovated to include a few delicious vendors and a intimate music venue in the back. It is on the world famous Haight Street. When I first booked this show I knew that they were still getting things in order and the venue might not be finished but even without a sound guy the makeshift set up they organized for the evening was perfect. What I love about the gigs I’m playing on this tour is they’re still pretty small venues with a turn out usually in the 20 person range but it really feels like we're all apart of something wonderful, and by the end of the night I usually know each person by name. Last night when Jeff strolled in with his cool hat and sunglasses, slightly obscuring the gleam in his eye to play, I felt like a puppy bouncing around with excitement. Shortly thereafter Paul Myers strolled in, guitar in hand. My very cool famous friend from Twitter and Facebook was here to open for me. It was so great to meet Paul in person and be able to hear him play! After that D. Edwards and Grammy Winner Laura Sullivan also showed up. Are you kidding me?! This was going to be a great night! Jeff joined me on 3 songs. To Be Frank is one of his favourite songs so Joe and I tried something new and played without the programmed music that accompanies us and had Jeff join in. Jeff also played Now or Never with me. This is the song that started it all. I usually do a part during the bridge and try to sound like a horn. Having Jeff Oster step in to do this part is like winning the lottery for me. He plays so beautifully that I have to remind myself to keep playing and singing along or I’d get completely lost in his talent and sound. And finally, for the encore I usually will get an audience suggestion and make something up so I invited Paul, who had opened for me, up to ‘jam’, and saw Jeff sitting there smiling so I asked Jeff to come up again too. Of course D. who is an amazing percussionist was sitting right next to him and Laura Sullivan next to D. so I also invited them both up! Paul’s musical partner in Paul & John, John Moremen was there as well so I asked if he’d like to join. The 7 of us jammed out a song for those left seated and it is definitely one of the musical highlights of my tour. I’m playing the final show of my West Coast Tour at The Backstage Lounge on Granville Island this Sunday April 13th… I wonder who will be at this show! I can’t wait. Jody Quine released her EP Seven last August. It is available via her website www.jodyquine.com or on iTunes. To Be Frank is on Seven and Now Or Never is on her 2001 release Star.